Time sort of stopped for me on December 1st. I have been so out of the loop since my father fell and began his downward spiral. He is fortunately stable now and there are very hopeful signs of improvement. For days I came in and out of my house, basically only returning to sleep, shower, and return to the hospital. I almost forgot about the glorious boxes from Cepia LLC , the makers of Zhu Zhu Pets, that were by my front door. If you have known me for any amount of time, you will know that I love Christmas. Love might not even be a strong enough word. I love colored lights, cookie baking, shopping for and wrapping gifts and most of all celebrating the birth of Jesus. This year I missed a lot of that. I wasn't able to bake cookies with my kids and my husband thankfully did all of the shopping. We didn't have our usual Christmas, but we still had a great one. I was given the opportunity to give away Zhu Zhu Pets this holiday season through the Random Acts of Zhu program. Cepia chose 100 bloggers to donate 104 Zhu Zhu Pets to the charity of their choice. 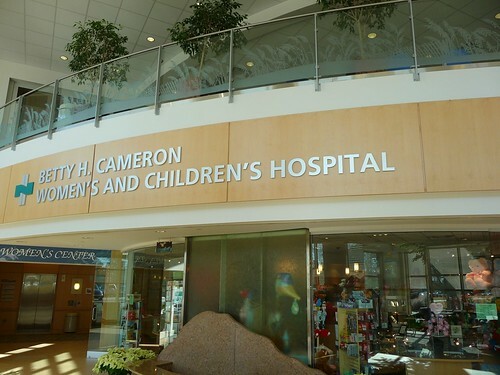 Because of the amount of time we have been at our local hospital, New Hanover Regional Medical Center, I chose to donate to the Betty Cameron Women's and Children's Hospital that is a part of Hanover Regional. My father is in the Rehabilitation Hospital which is just around the corner from the Children's Hospital. On my many treks to the cafe to get something for my dad, I passed so many family members of children who were hospitalized. My dad and I discussed that while it stinks to be in the hospital at Christmas when you are seventy-three, it would REALLY stink to be in the hospital at Christmas when you're seven. My husband and children brought the Zhu Zhu Pets up to the hospital and I met them in the lobby. The Children's Hospital is very strict about allowing access to insure the privacy and safety of all of their patients. We had been granted access, but unfortunately(not for us, but for the children involved), when we were supposed to deliver our Zhu Zhu Pets they had two children being admitted who were in critical condition. We quickly dropped off the toys because we knew everyone had important things to do. I have since heard how much the children and families appreciated having special toys at Christmas. 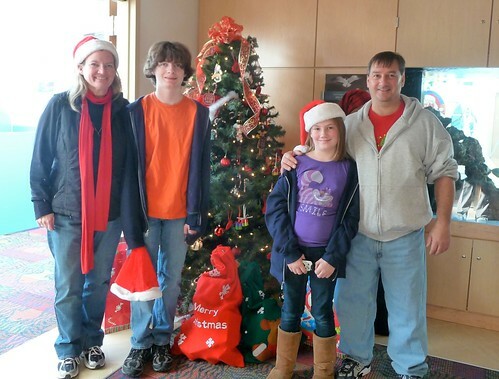 For our family, participating in Random Acts of Zhu was a wonderful way to focus on the most important part of the holiday season, GIVING. We always participate in Salvation Army projects and Toys for Tots, but it was particularly rewarding to help a toy company like Cepia with their giving. I am grateful for the opportunity, and grateful to have made Christmas a little bit brighter for children in the hospital!